Over the last six years the Friends have been redeveloping the garden with the original ethos in mind. Phase 1 saw the replacement of the old signage and the renewal of the outer boundaries. Phase 2 of the project is well on its way with the development of the rear of the garden. So far, we have planted over 50 Rhododendrons with many different cultivars such as, ‘Nancy Evans’, ‘Percy Wiseman’ and ‘Golden Gate’, being just a few to mention. The grass bank on the perimeter of the garden has been planted with Crocus and thousands of Daffodils and makes a stunning early spring display, this is followed on by wildflowers. There is a new addition of an herbaceous border and climbing roses situated on the back wall. 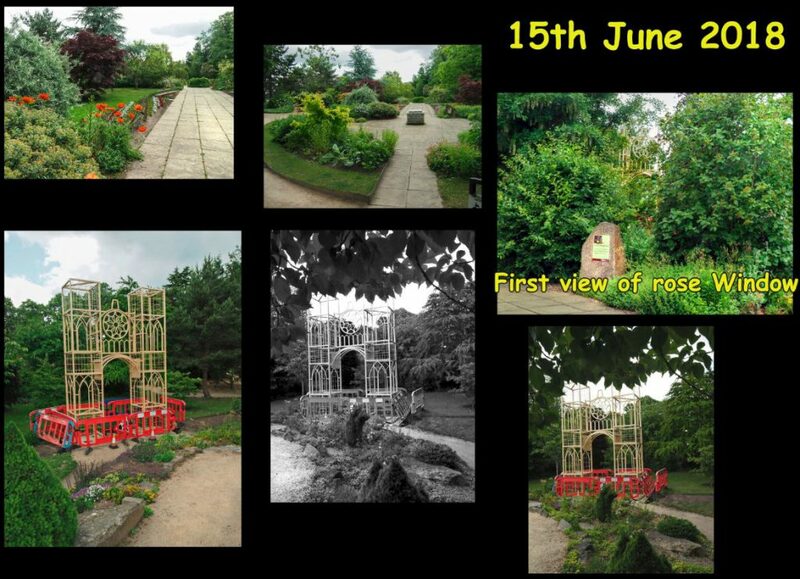 Phase 3 is to replace the rose arbour and 2018 saw the removal of the old one and the start of the new galvanised structure. Those of you who have been to the Biblical Garden in recent months can’t have failed to notice that the main archway of the new arbour has been installed. It may seem a bit stark at the moment, but once the ‘wings’ and information boards have been constructed on either side and the climbing roses and honeysuckle have been planted, it will look more in keeping. This project would not be possible without the funding we have received over the past few years. The Friends would like to acknowledge, with grateful thanks, funding from Entrust, EB Scotland, Gordon and Ena Baxter Foundation and Tesco Bags for Help.